Please read through these instructions. You'll find important information here that will maximize your experience using our site. For more information on how to use the features on this site, click here. This site was created to connect and re-connect our Arthur Hill High School Class of 1976 classmates (even those who will not be attending the reunions). Our next goal is to try and consolidate our high school memories, thoughts, pictures, etc. in one place. In essence, make this site a private scrapbook for our fellow classmates and their families to enjoy. Everything you need to know about setting up a profile to gain access to the rest of our site is on this page. If you have questions, please contact a site administrator (Admin). All contact information (address, phone number, e-mail address) that you enter into this website will be kept confidential. The host of this web site is ClassCreator.com. They are a Michigan-based business located in Ann Arbor. They understand the importance of your privacy. Your personal information will never be sold to other sites and it will not be shared or distributed. For more information see out Security and Privacy Information Page. In order to access the pages that are password protected on this site, you must set up a profile by providing a minimum of your email address, and create your personal password. You can find step-by-step instructions on setting up your profile here. 1) Start by clicking on the Lumberjack Profiles link in the top navigation tabs. This will take you to a page with all the known 1976 alumni. 2) Find your name in the list and click on it. 3) You will see "JOIN HERE" and right below it in the gray box you will see "Click Here Now to create your login!" and it will take you to the Member Wizard. 1) Go to your profile page. At the bottom of this page, find the "Profile Visibility" section. Select the option that you want for your profile. Allow only Classmates from Arthur Hill High School Class of 1976 to view my profile. The will allow ONLY members of this website to view your profile information. Allow all Classmates from Arthur Hill High School to view my profile. This will allow any member of any Arthur Hill High School website to view your profile. Allow all members of Class Connection to view my Profile. This will allow any member of the Facebook Class Connection to view your profile. Allow my Facebook friends to view my profile. This will allow any of your Facebook Friends with the Class Connection app to view your profile. Limiting access will block Google and other Web Search Engines from (indexing) making your page information viewable to the general public. However, if you want anyone other than registered AHHS class of 1976 registered members to have access to your page you may leave it unchecked. Again, checking one of the selections is how you restrict the viewing of your personal Profile to only your fellow classmates, while blocking the general public and search engines. 2) Go to your "Notify Me" section under the MEMBER ICON and select the options as far as notifications you wish to receive. Just a fair warning - During the first few months there (hopefully) will be a lot of activity with new members joining, updating profiles, adding pictures, posting comments, etc. You don't want to end up with 50 or 60 emails in your inbox. You can elect to get "once daily" email updates that give you a condensed version of the days activities, or you may want to limit the email notifications to only the essential items that interest you and turn the rest off. 3) "Whitelist" NoReply@ahhs-1976.com and admin@ahhs-1976.com, (e.g., add these email addresses to your/provider's "safe sender" list). Do this so you may receive future emails from us. Make sure this email addresses are safe-listed so our messages are not considered spam. If you don't know how to do this, check with your email provider or you can Google "How to whitelist my email". Private information like your email address, home address, and phone numbers will not be visible to fellow classmates. We collect mailing addresses in the event that we need to contact you by regular mail or phone. Your information will never be given to other classmates without your permission. Your name is not listed? 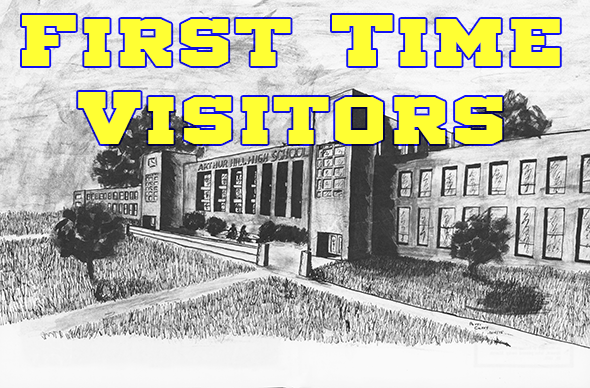 If your name is not already on the site, but you were part of the Arthur Hill High School Class of 1976, contact us and your name will be added. Information Updates: If you change your email address, home address, or phone number, please update your Contact Info so we have up to date information. That way you'll always be in the know about whats happening here and what your classmates are up to! Choosing a password: Passwords do not need to be the ultra-high security style recommended for some sites. Choose something simple that you are certain you will remember. Clicking the "Remember Me" will allow you to bypass entering the password each time you visit, but eventually the "remember me" will fail (for instance when you get a new computer). Please make note of your password! If you forget your password simply click on "forgot password". If you have several email accounts, and you don't remember the one you used to set-up your account, contact a site administrator. This could take a little while (cuz they're gettin' old) so please be patient. This site assembles a Missing Classmate list based solely on the names of people who haven't registered and set up profiles; so until you have a profile, the site will consider you "missing". Also, please note: We need your help to contact as many classmates as possible. If you have information about any classmate, listed or not listed, please contact them and tell them about this site, or forward their information to a site administrator and we will send a personal invitation. Clicked "Edit Profile" under MEMBER ICON (Located in the upper right corner of the title block. ).